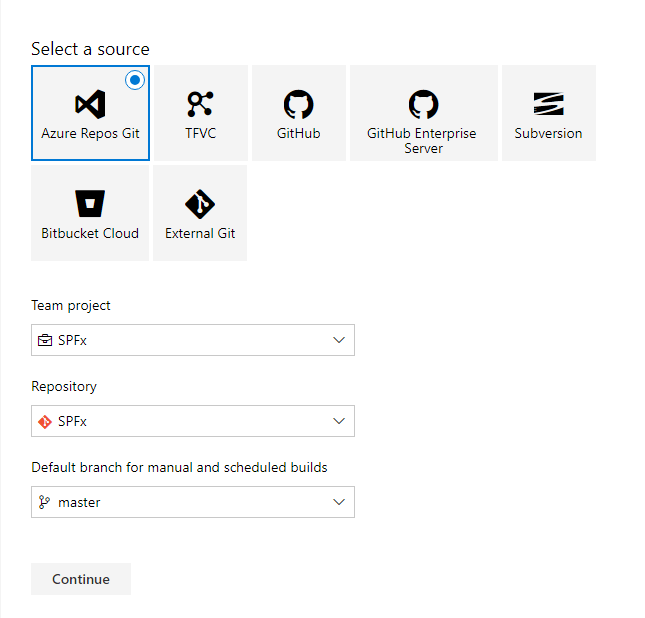 In this article, we will explore how we can implement Continuous Integration and Continuous deployment using Azure DevOps to automate SPFx solution builds and deployment. Build definition contains definition and configuration for build. Follow below steps to create a new build definition. 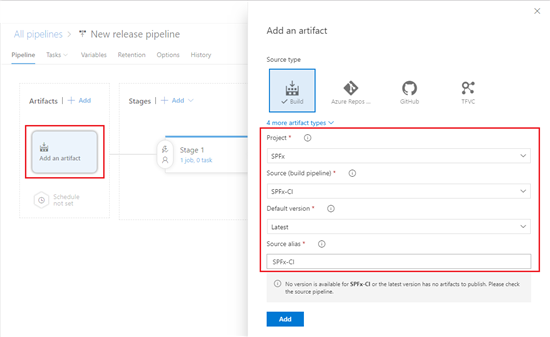 Select your project to setup build definition. 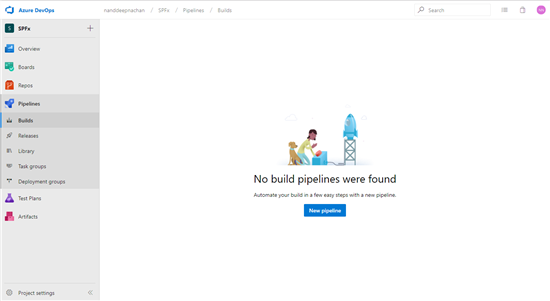 From left navigation, click Pipelines > Builds. Select the source to connect to your source repository. Click continue. Under “Select a template”, select “Empty Pipeline”. The build definition has default agent. We can add multiple tasks to agent to define our build. On the default agent, click + sign. Specify the version as 8.x, since SharePoint Framework supports Node version 8.x. 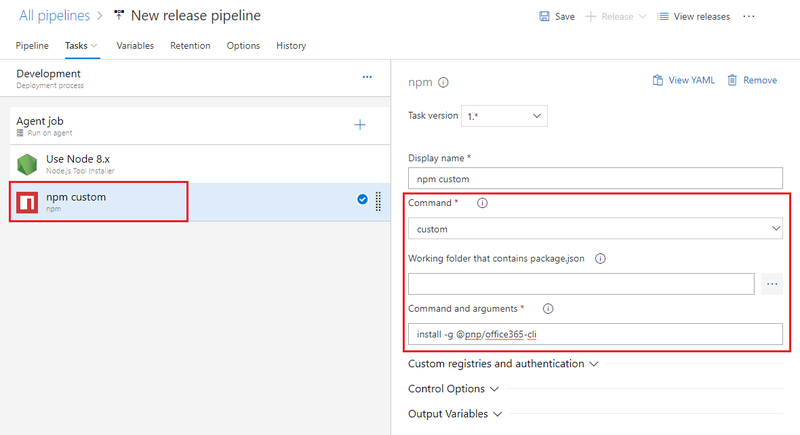 SharePoint Framework solution uses third party npm packages. We need to restore those before starting the build process. Verify command is set to install. Build the SPFx solution to minify the required assets to upload to CDN. The next step is to combine the assets into a package. 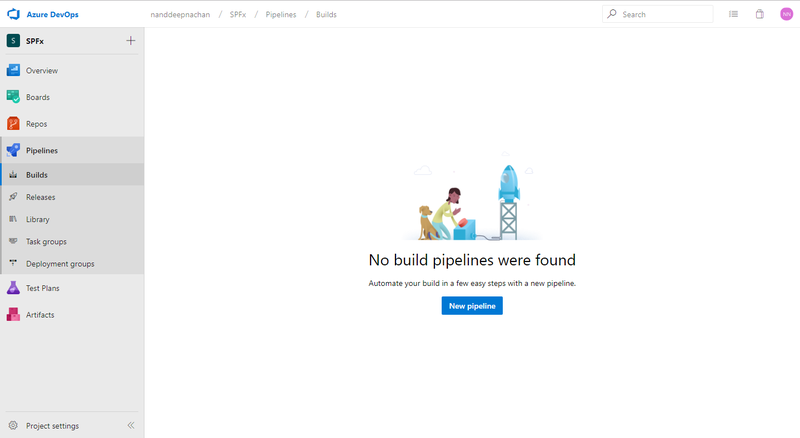 Azure DevOps build does not retain any files. The .sppkg file created from above step needs to be copied to staging directory to be published to release pipeline. 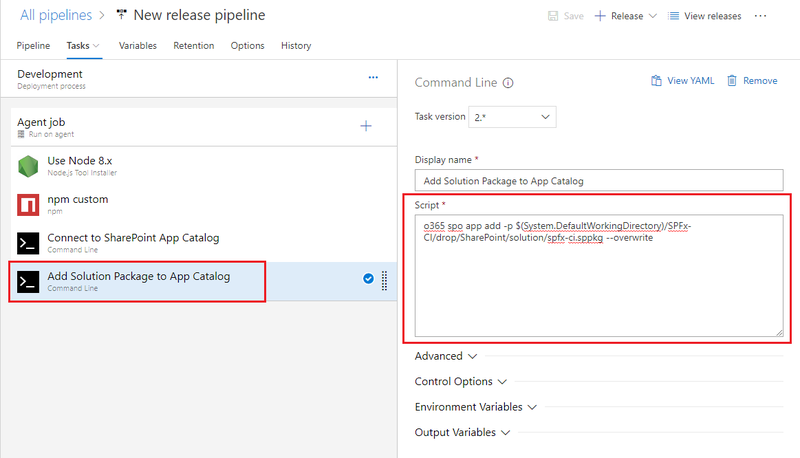 Instruct Azure DevOps to keep the files after build execution. Continuous Deployment (CD) takes package from build and deploys it to designated environment. Successful and failed deployments can be tracked by developers. 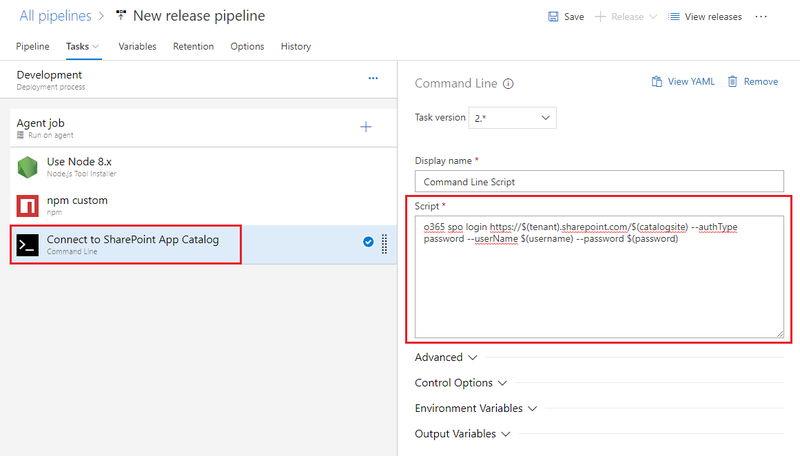 From left navigation, click Pipelines > Releases. 3. 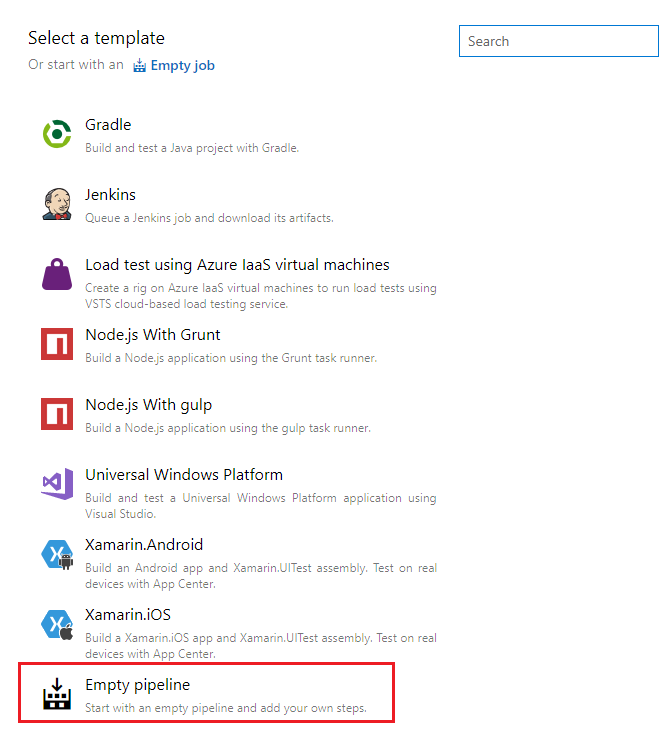 Create a new release definition with empty template. Note down “Source alias” for future use. 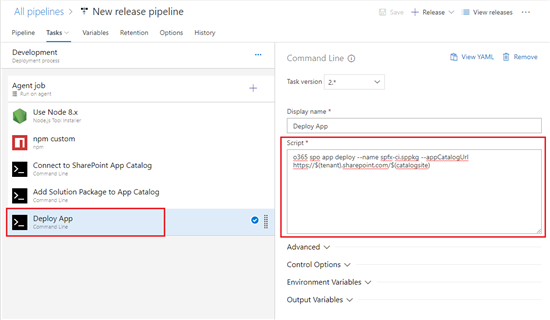 Define an environment to deploy the build artifacts. Under Stages, click “Stage 1”. Under environment, click “1 job, 0 task”. The task configuration window will appear, same as in build definition. Office 365 Common Language Interface (CLI) is an open source project from OfficeDev PnP Community. We need to authenticate against App Catalog of our tenant. Now, we need to upload the solution package to app catalog. 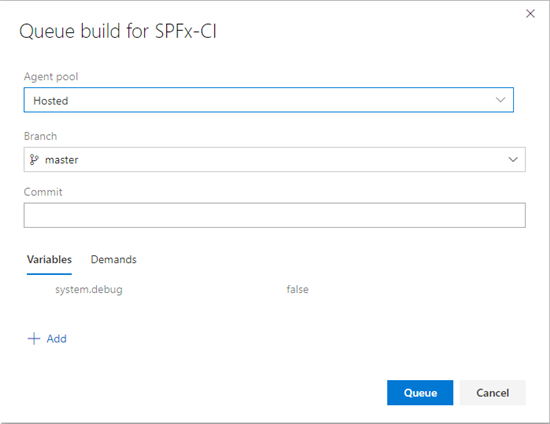 Where SPFx-CI is source alias setup during “Link the Build Artifact” step. We need to deploy the app to App Catalog to make it available to all site collections within the tenant. We need to define the process variables used in earlier steps. Under Pipeline variables, add below variables. We can manually trigger the deployment. However the ideal scenario is to trigger the deployment on successful build completion. Follow below steps to setup trigger. From the left menu, click Pipelines > Releases. Open our release pipeline, we created earlier. Under Artifacts, click Continuous deployment trigger. 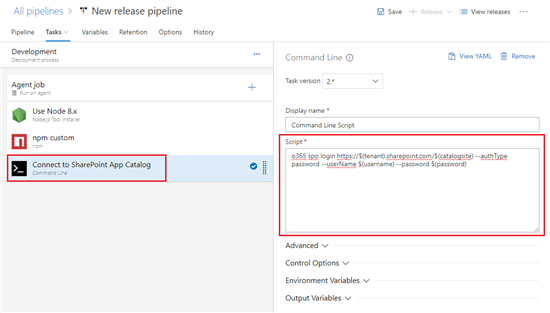 Follow below steps to test the continuous deployment. Select the branch. Click Queue. 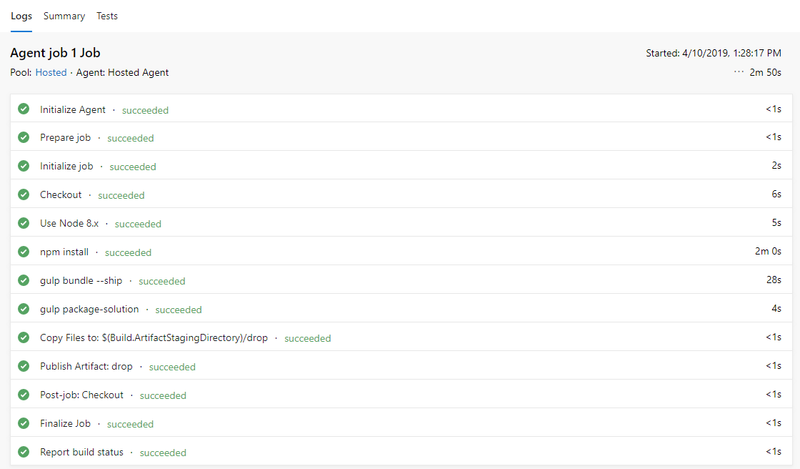 Once the build runs, see the logs and fix the issues if any. Once the build is successful, auto deployment will trigger (if configured). 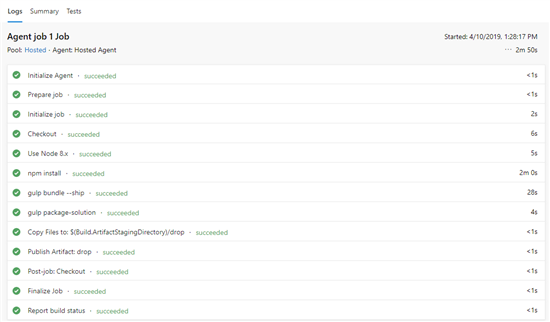 Once the deployment runs, see the logs and fix the issues if any. 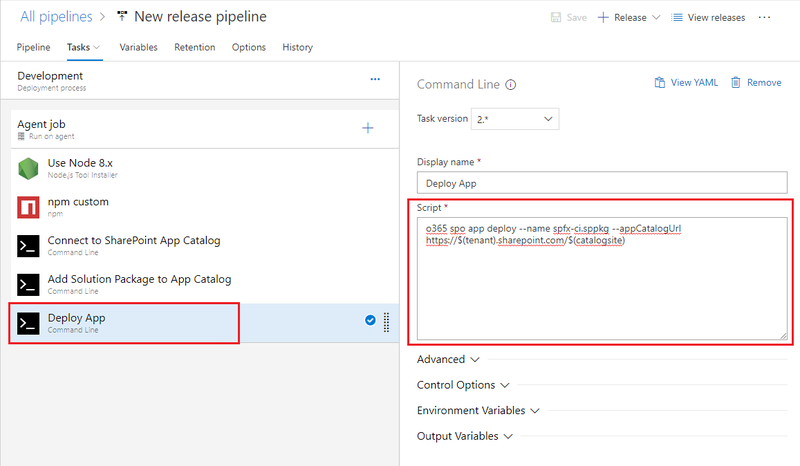 Verify the app (.sppkg) is deployed to SharePoint app catalog. CI/CD helps to automate the build and deployment process when a solution being worked on by team and is undergoing continuous changes. Azure DevOps helps to automate SPFx solution builds and deployment.